Well, we know that trees and shrubs are the “bones” of a garden – they provide a framework around which we can create an overall structure or theme. Perennials are reliable performers that flesh out the bones by adding shape, color, texture, and fragrance. 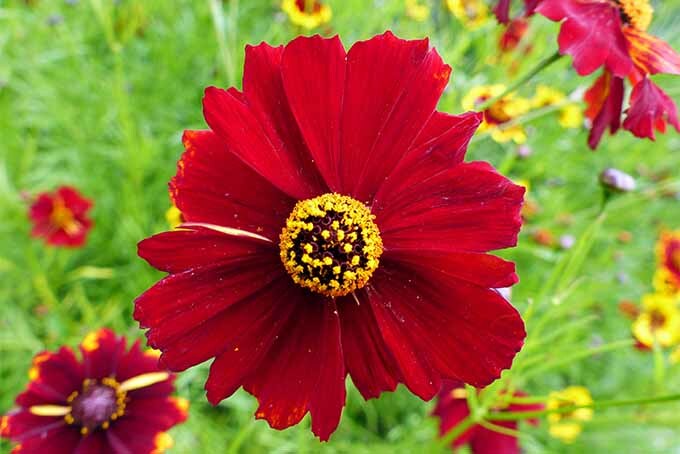 And annuals are a bit like adding jewelry to the garden body – they add a vibrant splash of decorative color. So, where do the grasses fit in? Ornamental grasses present a unique design element as they can be used in all settings – as part of the bones, the flesh, or as decorative accents. With graceful motion, attractive form, interesting texture, and striking colors, their appeal is immediate. Mix textures and forms for added interest. Photo by Lorna Kring. A wonderfully diverse group of plants, grasses and sedges are carefree, easy to grow, and not too fussy about soil or light requirements. Ornamentals are noted for their elegant habits – short, mounded tufts; tall, swaying seedheads; feathery textures; and a lovely array of colors all add striking beauty and captivating visual interest to the garden. 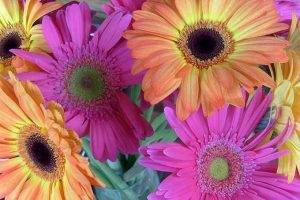 Long lasting, several varieties will put on multi-season displays, with seedheads and stalks making an attractive addition to flower arrangements, either fresh or dried. And many varieties retain their form and color over the winter as well. Let’s have a look at how to select these plants by their classifications, their growing requirements, how to prune and divide, and finish up with a few tips for their effective use in the garden. 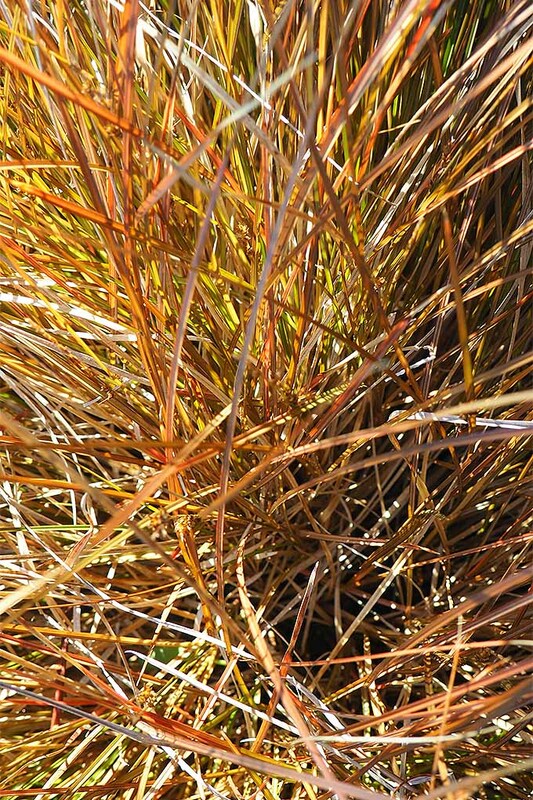 When we use the term “ornamental grasses” we’re referring to a group of plants that look like grasses and have similar growth habits, but aren’t restricted to the true grasses of the Poaceae family. For example, sedges and carex belong to the Cyperaceae family, while rushes belong in the Juncaceae clan. 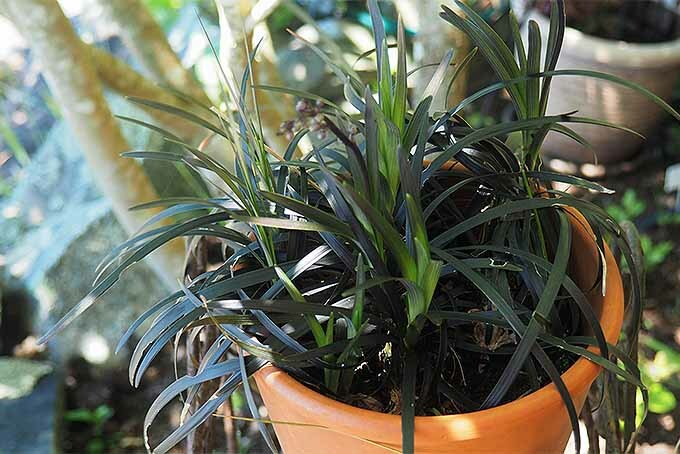 And specimens such as black mondo grass belong to the Asparagaceae family – the same tribe as asparagus! For the large part, this group is wonderfully disease and pest-free, with few problems from insects, bacteria, and fungi. 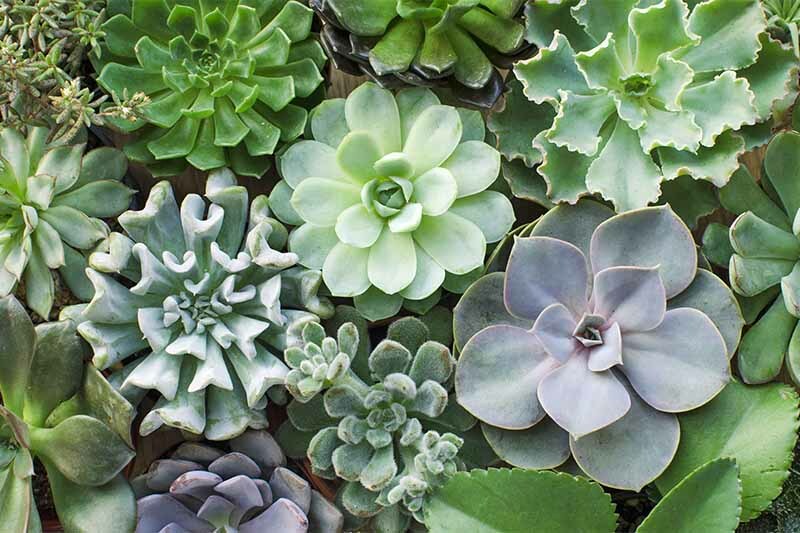 And once established, many prove to be drought tolerant as well, even in severe situations – although they may go dormant for a period to conserve energy. What does all this mean to us gardeners? 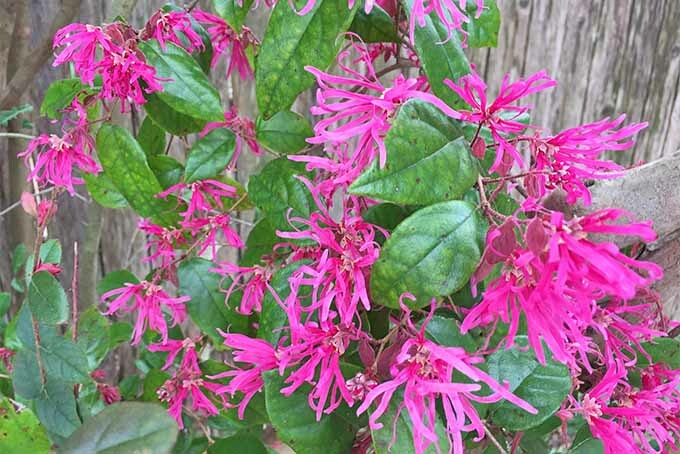 Well, it means that there’s an incredible selection of ornamentals we can use to great effect in the garden – from evergreens to heat lovers to those that thrive in moist, shady environments. 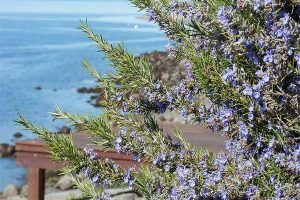 Naturally, because of this vast diversity, there can be some confusion regarding planting requirements and best locations, as well as successful pruning and division. To make sense of their many different characteristics and requirements, let’s start at the start, which is how they’re classified. Grasses are first defined by their temperature preferences, then by their growth habit. In general, most will fall into the two categories of cool season or warm season varieties, depending on when growth is most prolific. This category includes many of the evergreens. They put forth the greatest growth spurts in the cool months of spring, and to a lesser degree, in late summer and early autumn – with a temperature preference in the range of 60-70°F. Cool season growers emerge in early spring and usually produce seed heads by early summer, and they don’t appreciate intense heat or dry conditions. These types will often die back or go dormant in hot conditions, and rebound once the summer’s heat has passed. These are just the opposite. They emerge in late spring once temperatures have warmed up, and thrive in the hot days of full summer – with a penchant for temperatures in the range of 80-95°F. 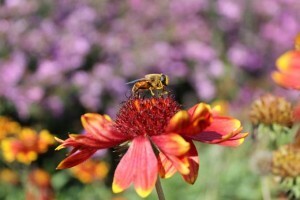 These varieties put on their best display in intense heat, and many will produce showy seedheads that last into autumn. Some varieties display attractive seed heads. Photo by Lorna Kring. Growth will come to a halt with cold temperatures or frost, but several varieties will also continue to provide winter interest with stalks and seeds that dry and change color to glowing, burnished tones – making an attractive and natural “dried flower arrangement” in the garden. 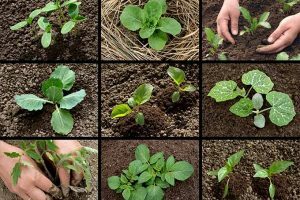 After the temperature classification has been determined, it’s useful to know their growth habits, as this will help you to decide where, and how, to use them in your plantings. The second classification is determined by their geometric profile or architectural shape. 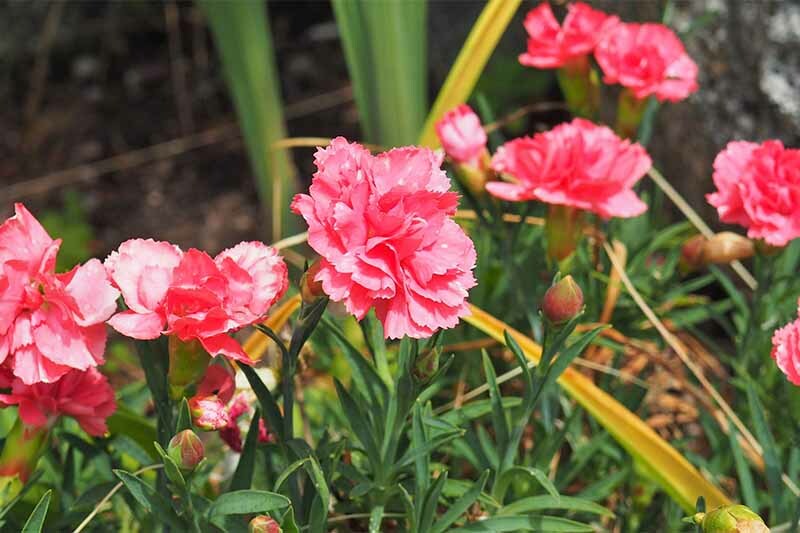 Most ornamentals are clump-forming and non-invasive – which makes them a good choice for mass planting, or introducing into the garden as a specimen plant. Relatively short growth that spreads equally in all directions, like erect porcupine quills. Blue oat grass in the foreground is an example of the tufted shape. Photo by Lorna Kring. Stalks grow upwards, then bend over and down to the ground, with a shape like mushroom caps. A mounded shape. Photo by Lorna Kring. Mid-height stalks remain upright in a tight grouping. Stalks in an upright form. Photo by Lorna Kring. These have upright stalks that spread out in a fan-like shape. An upright divergent shape. Photo by Lorna Kring. Arching forms are mid-sized to tall varieties with straight stalks that arch over, like a rooster’s comb. Variegated color in an arching form. Photo by Lorna Kring. Similar to arching, but the straight base is taller and only the top third or so bends over, with a shape like the profile of an umbrella. 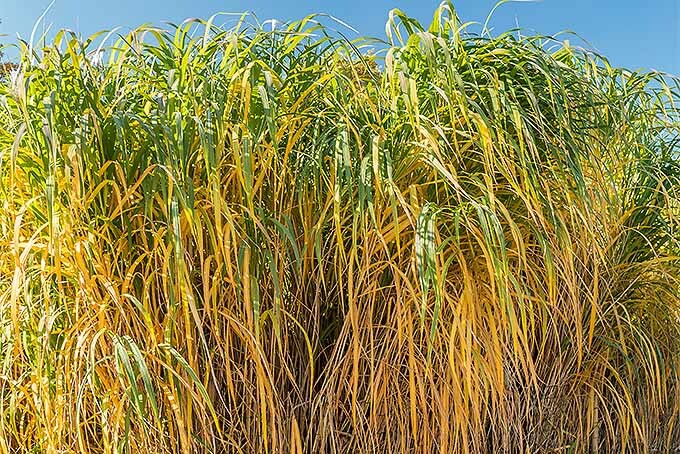 Giant miscanthus, an upright arching form. The other main category includes those that spread by rhizomes or stolons, and have growth patterns known as creeping, spreading, or running. These can be quite invasive, and because of their aggressive growth habits, are most often used as a ground cover. 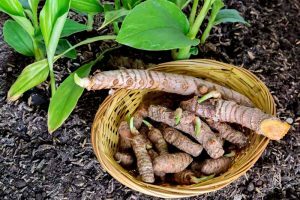 However, they can also be used elsewhere in the garden by keeping their root spread in check. The easiest way to do this is by planting them in a large nursery container (like the ones that trees and shrubs come in), then sinking the grass – container and all – directly into the soil. Keep in mind that if you want to restrict their spread, the rim of the pot should be level with, or just above the soil. 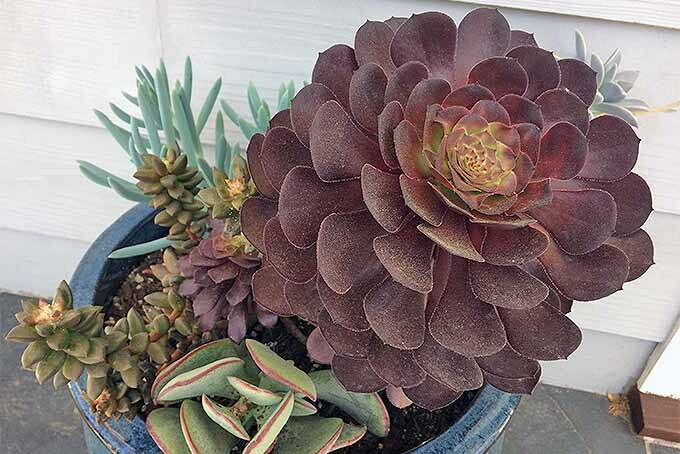 Depending on the growth habit of the plant, you may also want to first cut out the bottom of the pot, and double dig the soil to ensure the roots grow straight down, not sideways. 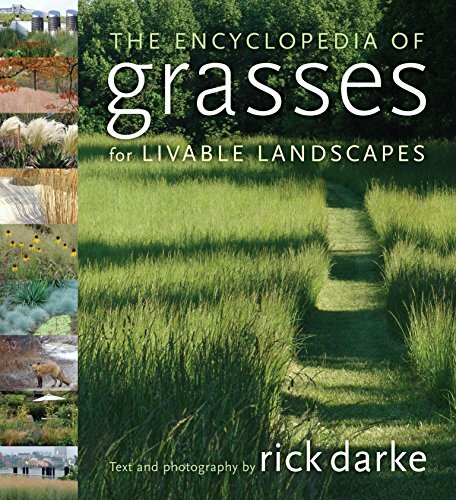 With so many types to choose from, it’s always handy to have up a good reference book to check, like The Encyclopedia of Ornamental Grasses for Livable Landscapes by Rick Darke – it has some gorgeous photos and great ideas. This book is available on Amazon. 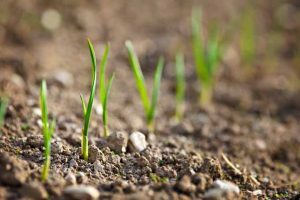 Grasses usually aren’t fussy about the type of soil they grow in. Several varieties actually prefer poor soil, without the need for fertilizers. 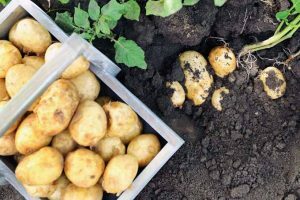 However, most do enjoy a well-drained location and a loamy garden soil, with plenty of organic compost or rotted manure mixed in when planting. Add some bone meal to the planting mix and an all-purpose fertilizer such as 10-10-10 to provide an adequate supply of nutrients to establish the roots. 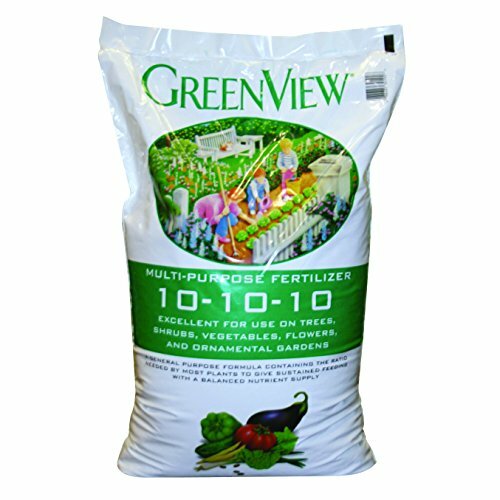 We recommend GreenView Multi-Purpose 10-10-10 Fertilizer, available on Amazon. Once they’re established, the same all-purpose fertilizer can be applied once in the spring as new growth emerges. 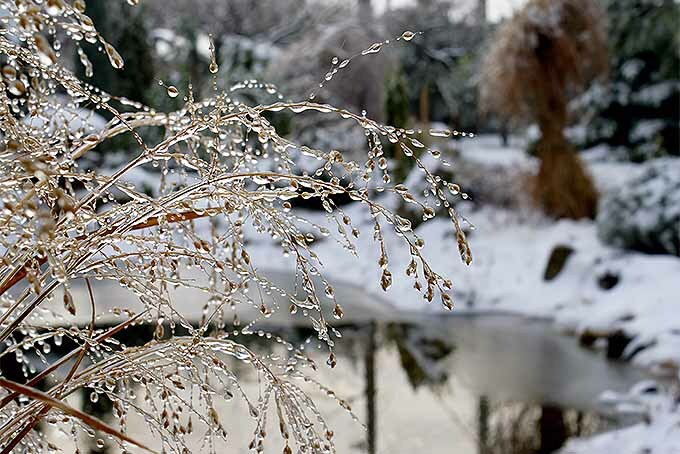 Avoid over-fertilizing your ornamental grasses, as too much of a good thing can weaken stalks and cause them to suffer in winter cold. Most ornamentals will enjoy six to eight hours of sunlight per day. 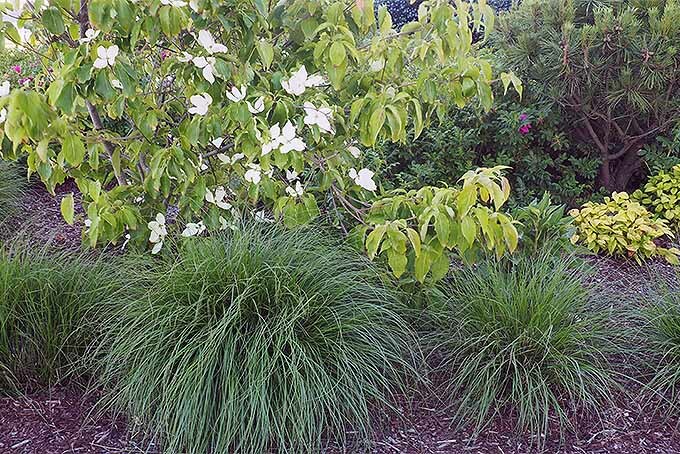 There are exceptions, of course, such as black mondo, Norther sea oats, and many sedges, which are happier in a shady spot. Watering may be roughly defined according to their temperature classifications, with true grasses and warm season varieties preferring drier conditions, while several sedges, carex, and cool season growers prefer moister conditions. For accurate watering and light requirements, refer to the particulars for each individual species to ensure they are provided with the best conditions for healthy growth. Good drainage is another factor that’s important to the success of ornamental grasses, even for those that prefer a high-moisture environment. If drainage is an issue in your garden, add 4 to 6 inches of pebbles at the bottom of the planting hole, and mix some sand into the soil. Simple to grow, most do well in containers. Photo by Lorna Kring. For containers, ensure the pot has plenty of drainage holes and 1 to 2 inches of drainage material covering the holes. As with all plants, ornamentals range in hardiness ratings, so check the plant’s hardiness zone to ensure it will work in your climate. For areas with harsh winters, a thick, dry mulch may be needed to protect some of the more tender varieties. 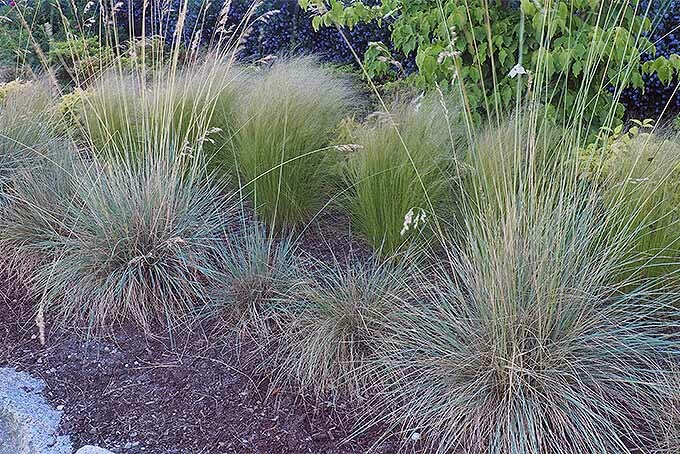 Like most perennials, ornamental grasses are best planted in the spring or fall. Spring planting allows the roots to become well established before cold weather sets in. But if you need to plant in the autumn, do so from mid-August to the end of September, and provide a dry mulch for the first winter. Create a planting hole twice as wide but no deeper than the root ball. Amend the soil with some organic material, such as compost or well-rotted manure, and the 10-10-10 fertilizer mentioned above. Soak the planting hole thoroughly before settling the roots in place, fill in with soil just to the crown, firm the soil, and then water to settle in place. For containers, ensure the pot has drainage holes and plenty of drainage material, then fill it to an appropriate depth with the soil mix outlined above. Plant, firm it in place, and settle with a long drink of water. General pruning requirements are loosely based on temperature classifications. Cool season varieties, including evergreens, should be cut back in late winter or very early spring – but proceed with caution! A harsh pruning can result in irreparable harm. To prune cool season growers, cut back by two-thirds at the most, leaving one-third to one-half of the base in place. For those that are evergreen in nature, a better option can often be a simple groom and trim. To groom, use a small hand-held rake and work the tines into the base of the plant, then draw the rake up and out, removing any dead stalks. Or, use your hands, working your fingers into the base, then repeating the drawing motion. 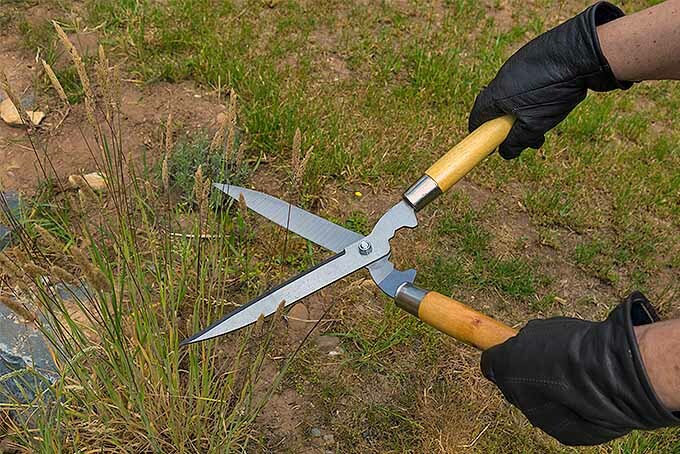 Be sure to use gloves for this, as many grasses have sharp edges that may cut. After raking, cut away any remaining dead growth around the clump’s outside perimeter. One groomed, a light trim of the tips will usually suffice. To trim, bundle the stalks together, then cut with sharp garden scissors on a diagonal – from just below the dead material to the center of the bundle. Make several small cuts in this manner all the way around the bundle. This can create a slightly blunt-tipped appearance, but new growth will quickly soften the tips. Pruning warm season grasses is more straightforward, with stalks simply cut back close to the ground. Once cold weather arrives and the heat lovers turn brown, they can be cut back at any time. If you enjoy their dried look in the garden, leave them over winter to add interest to the garden, along with seeds for visiting birds. Just ensure they’re cut back to a few inches by mid-spring, before new growth emerges. 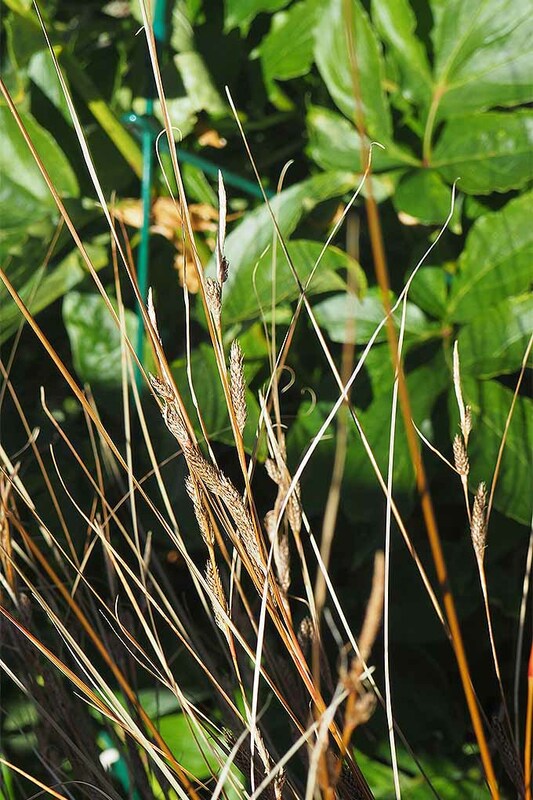 Propagation of ornamental grasses can be done either by seed or root division. Creating new plants from seed can be hit or miss with many varieties, as several have sterile seeds that won’t germinate. On the other hand, several species can easily be grown from seed and will self-seed readily in the garden. Check your species to determine if seeds are viable for planting; if so, collect seeds from summer to fall. In early spring, plant seed in small pots in a light, sandy garden mix. 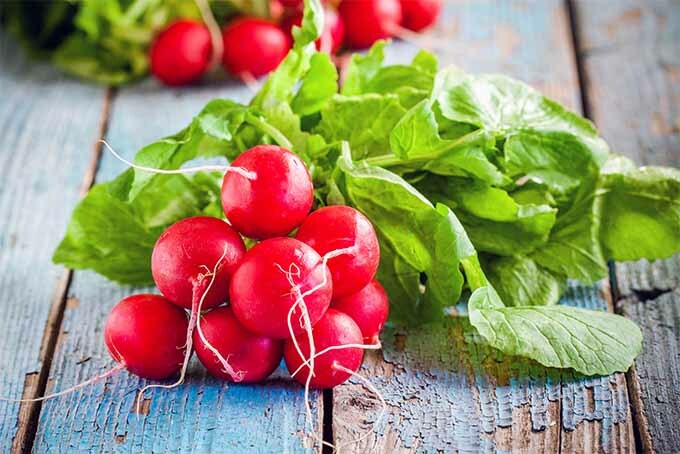 Provide them with water, plenty of morning sunlight, and adequate temperatures – you may want to put them in a greenhouse or cold frame to help germination. Leave seedlings in small pots for one to two years. Photo by Lorna Kring. 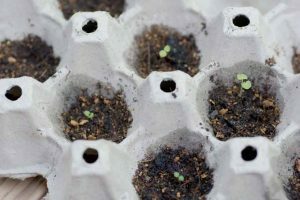 Once the seedlings are a few inches tall, place them in a sheltered spot in the garden where they’ll receive morning or dappled sunlight and adequate moisture. Give them a little sip of all-purpose fertilizer or top dress with a bit of organic material, then forget about them for a year or two until they’re big enough to go into the garden. Division is an easy and reliable way to multiply ornamental grasses, and to rejuvenate older clumps that have died out in the center. However, this must be done while the plant is in an active growing stage, but not flowering – grasses that are transplanted while in dormancy will struggle to develop a healthy root system. As a rule of thumb, cool season varieties should be divided in early spring, or late summer/early fall. However, evergreens should only be divided in spring, to ensure they have time to recover and develop strong roots before facing their first winter. Warm-season types can be divided from the time new growth emerges in mid- to late spring until mid-summer. 1. Prepare the new planting site(s) or container with the soil mix outlined above. 2. 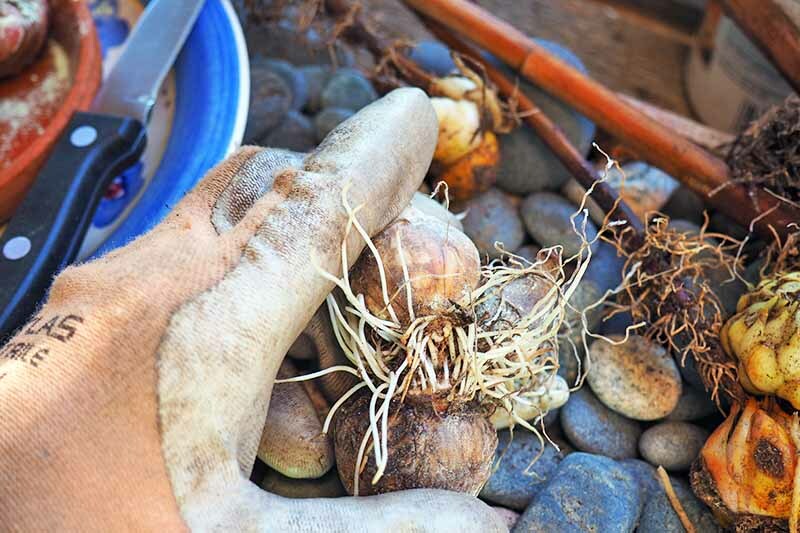 Dig up the clump along the outside drip line, then divide it into smaller sections with a sharp knife, saw, or spade, ensuring each section has healthy roots and stalks. 3. Clean and remove any sections that have died out. 4. Set the root ball in place, following the planting instructions above. 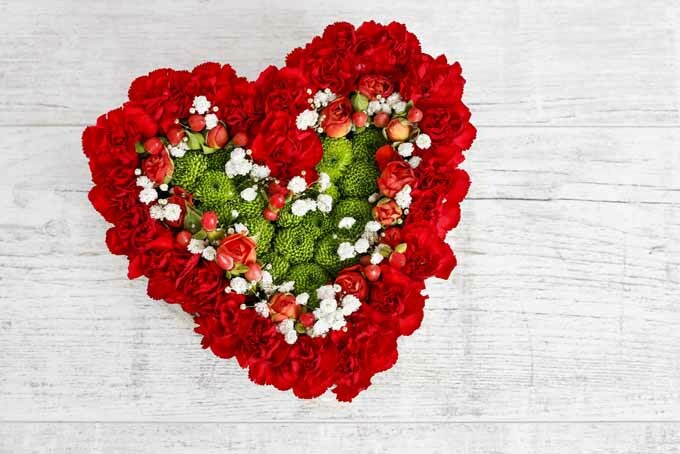 Of course, if the heart of the plant is still healthy, it can be left in place and divisions taken from the outside edges. Larger stands can be a touch more challenging! The process is the same, but if the stand is really large, you may need two or three strong backs and shovels to work out an entire root system. Employing levers helps with these big boys, so have a good selection of strong shovels, wedges, pry bars, and fulcrums to get the task done. It may be easier to handle these large clumps by taking sections from the outside perimeter rather than trying to remove the whole root ball in one piece. 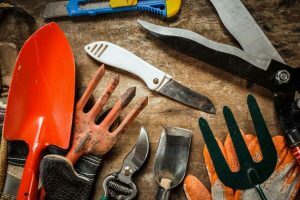 However, this means having to cut through some of the root mass in place, which can be incredibly dense and tough – even a very sharp spade can be inadequate for cutting through mature, thick roots. 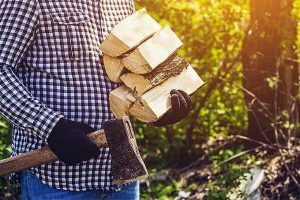 You may have to resort to using a handsaw, reciprocating saw, a hatchet, or even a splitting maul to divide the roots. Cut the grass back close to the ground, and starting in the soft soil of the drip line, cut towards the middle of the plant, creating wedges with whatever tools will work. Pry or dig out the wedges, then clean, divide, and replant as for small species. Divide large plants about every three years, or when you notice the center dying out. Single specimens grown in pots will need division every 2 to 3 years. 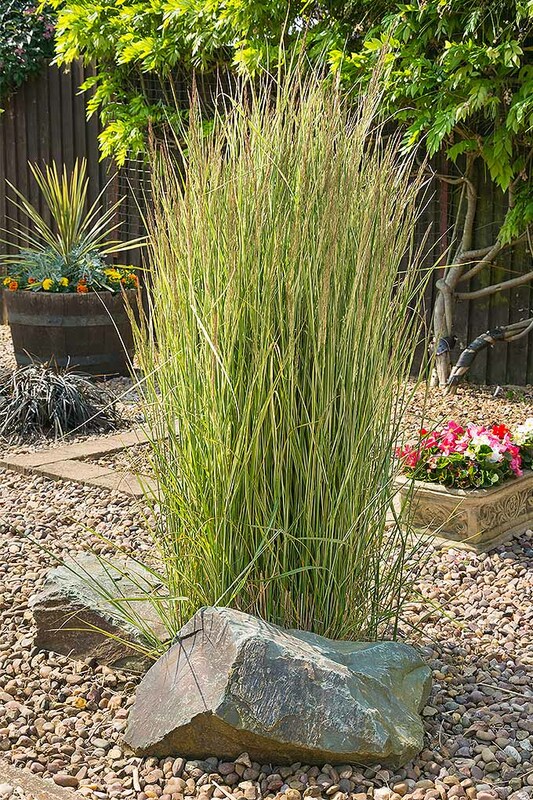 With their stunning variety, ornamental grasses can be used in multiple garden settings. They can be used either alone or in combination with other grasses, flowers, shrubs, and trees, or in planters, to provide a soft, fluid texture with a delightful array of colors – blue, green, chartreuse, gold, bronze, orange, red, and even black are readily available. 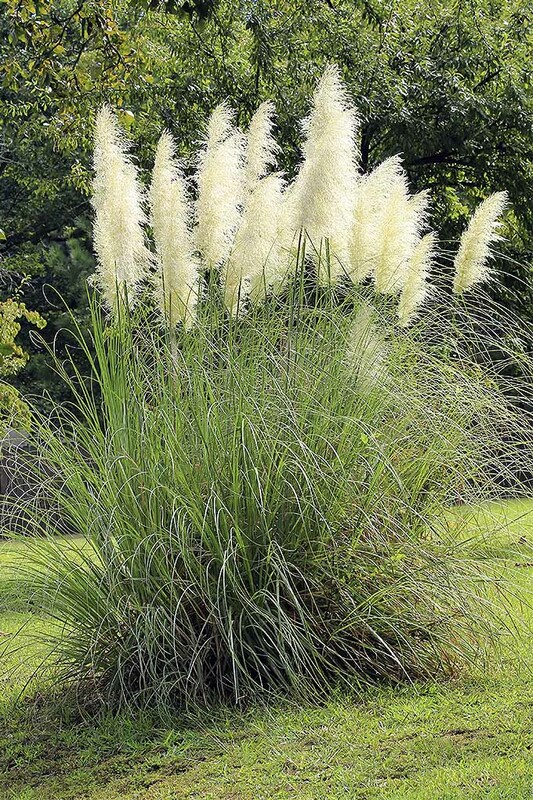 Cultivars that grow from 5 to 12 feet – such as full-sized pampas, millet, or maiden grasses – make a dramatic and distinctive focal point, and provide a delightful sense of flowing movement with just the hint of a light breeze. Use the tall varieties as part of your skeletal garden structure by planting them as stand-alone specimens, to anchor a large-bed arrangement, or in masses for a privacy screen. Varieties like little bluestem, fountain, and switchgrasses are well suited to flesh out the bones. Use them to create a second tier of interest in mixed bed plantings, as a single specimen in their own containers, as elegant accent pieces when used singly, or to provide the elements of balance, harmony, and rhythm when used in pairs or multiples. 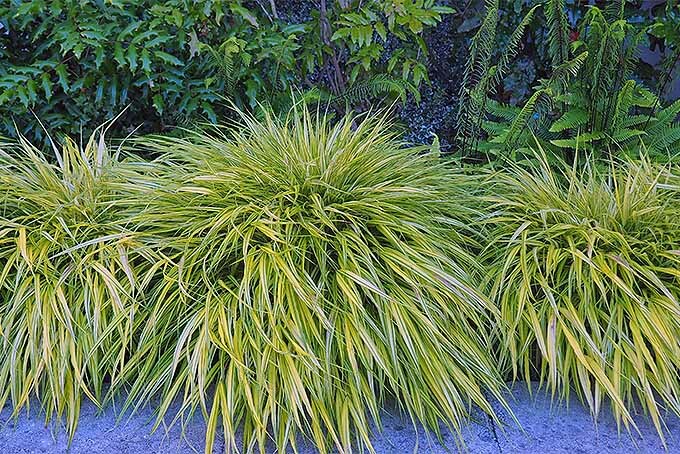 Small types such as black mondo and Japanese forest grass, as well as the colorful carex varieties, are outstanding as decorative jewels in the garden. Carex makes an excellent border. Photo by Lorna Kring. 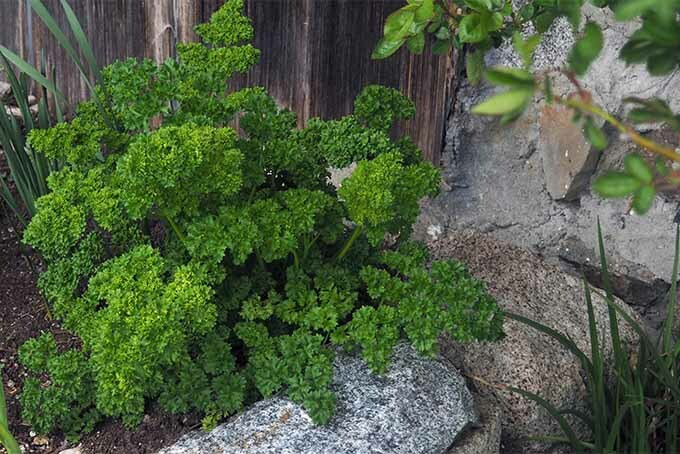 They’re a knockout for garden bed borders, to soften rockeries and retaining walls, to line pathways, when added to mixed containers, and to fill in bare spots. 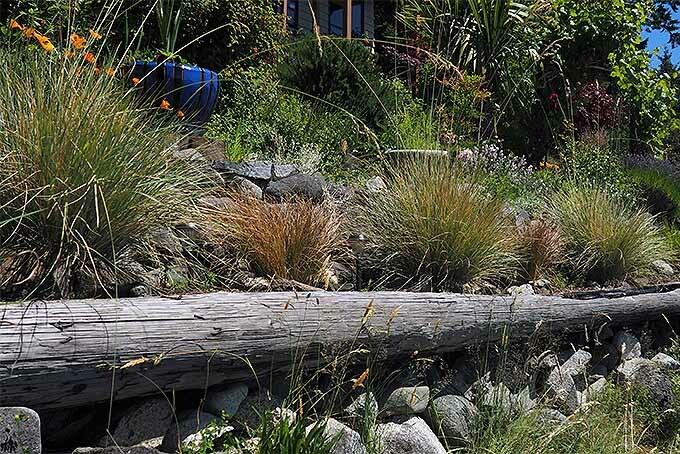 Grasses combine very well with companion plants that have similar habitats and growth habits, such as non-invasive perennials and self-seeding annuals. Bachelor’s buttons, bee balm, black-eyed Susans, California poppies, chamomile, coneflowers, dame’s rocket, daisies, California poppies, flax, foxglove, lupines, meadow mixes, poppies, and yarrow all combine well for a delightful, natural look. Try flanking spiky Russian statice or prickly globe artichoke with dreamy clouds of mounded carex, or border rigid hedges of boxwood with flowing feather grasses. Experiment and have fun with different pairings to find the effects that works best for you. 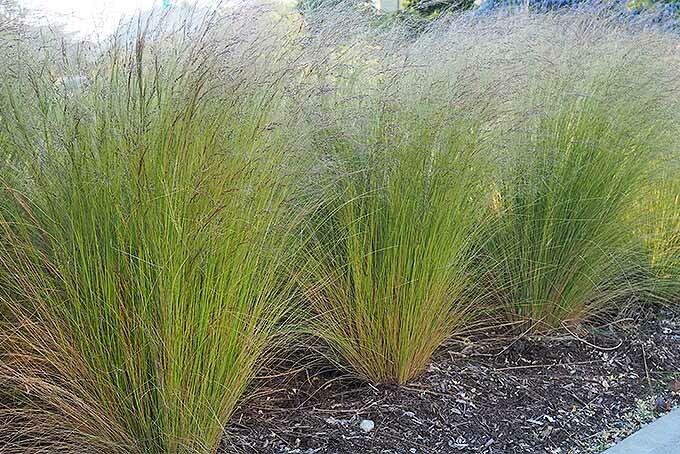 From small bunny-tail tufts to majestic stands of giant miscanthus, there’s a size, texture, and color of ornamental grass suitable for any setting. 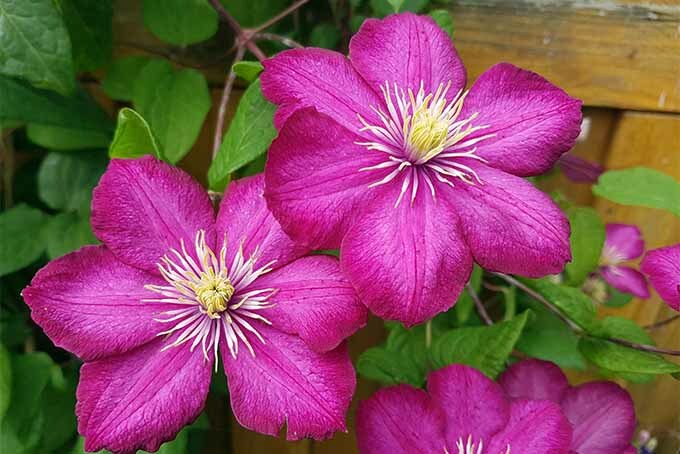 Easy to grow and propagate, ornamentals are an excellent investment for the gardenscape that provide years of graceful interest. Grasses come in many colors. Photo by Lorna Kring. 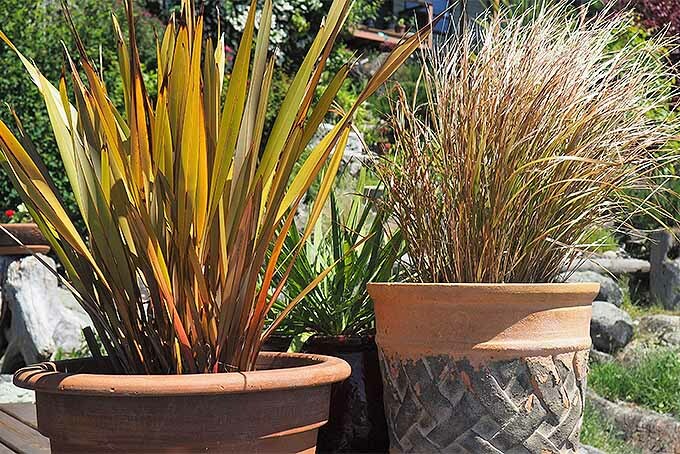 Choose your grasses based on cool and warm season growth habits, then select the shapes, sizes, and colors that work for your chosen location(s). Divide every three years or so, and you’ll have a constant supply of low-maintenance plants that add superb beauty and grace to your garden! 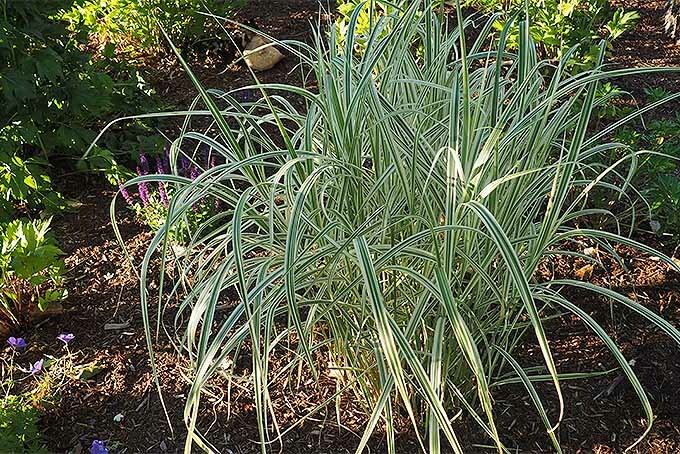 Do you readers have any questions about ornamental grasses that we can help out with? Drop us a line in the comments below, or join the conversation on our Gardener’s Path Facebook page! Dont’t forget to Pin It! Photos by Lorna Kring, © Ask the Experts, LLC. ALL RIGHTS RESERVED. See our TOS for more details. 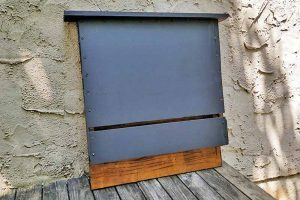 Product photos via Lebanon Seaboard and . Uncredited photos: Shutterstock. 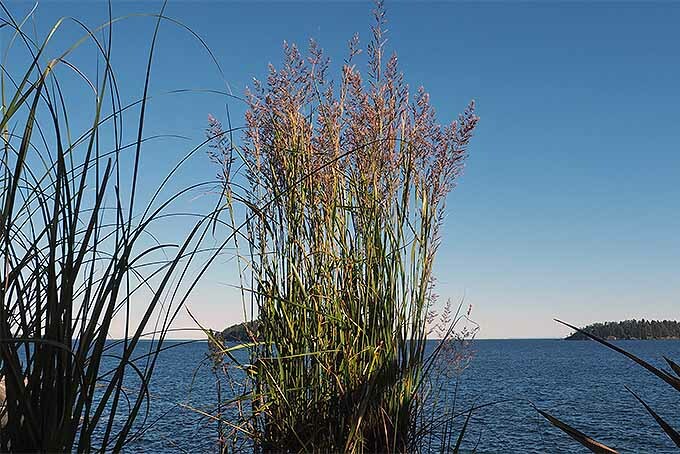 What type of ornamental grass is displayed in the Upright Divergent photograph in which the caption below states “these have upright stalks that spread out in a fan-like shape”? Hi Scott, those are Mexican Feather Grass with the delicate, wispy seed heads. Easy to grow and drought tolerant, they’re great for xeriscaping. Thanks for asking!